Sugar is made from raw sugar that has undergone a refining process to remove the molasses. Raw sugar is sucrose which is extracted from sugarcane. The sugar syrup is concentrated by boiling in pots like those pictured below and then cooled and seeded with sugar crystals, causing the sugar to crystallize out. 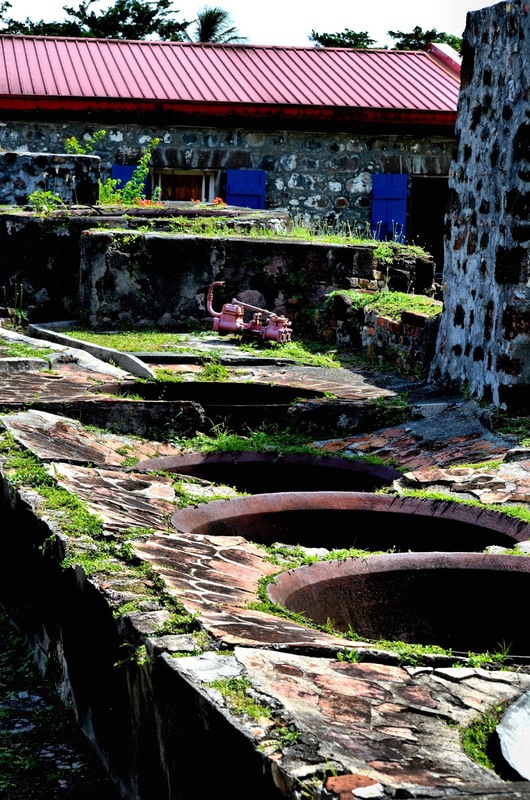 The remaining molasses at the Westerhall Plantation in Granada would be taken to the distillery where it would be fermented and distilled into rum.